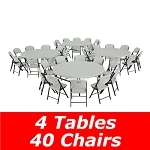 Product: Lifetime round tables 2673 12 Pack With Free Shipping 72 inch diameter white granite molded Round Top with folding legs colored in Gray HT Folding Frame. This package comes with 12 pieces and includes shipping in the price when shipped to the contiguous 48 states. 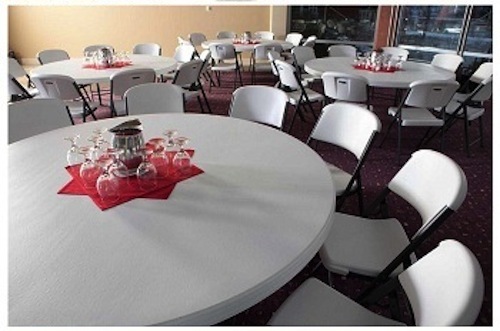 If you need just 1 round folding table 72 inches top consider round folding table 72" model 22673 72 inch Round Table. 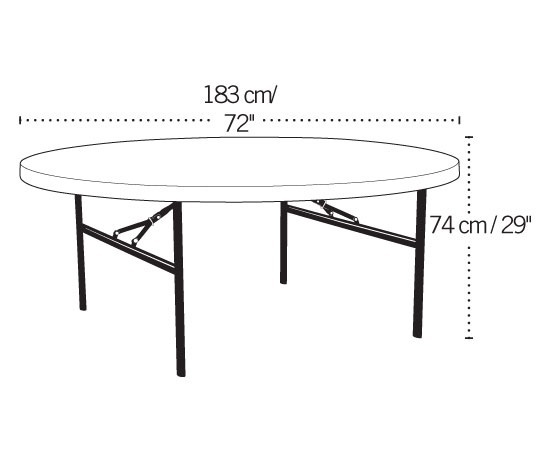 We also have model 42673 Round Folding Tables - a 4 pack of Round 72 Inch Tables with discounted shipping. 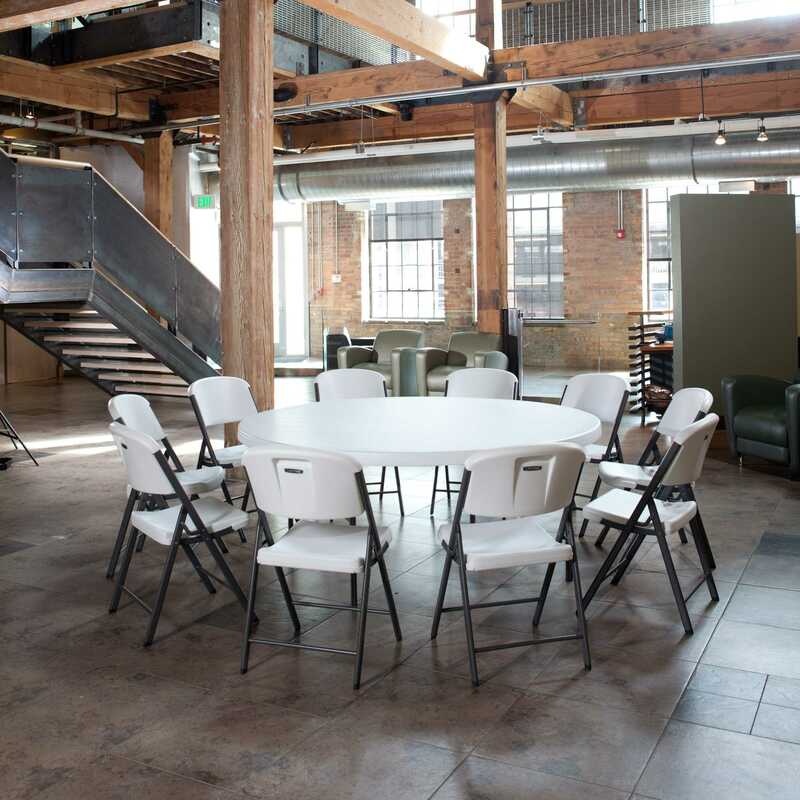 These tables are similar to the model Bm-71. 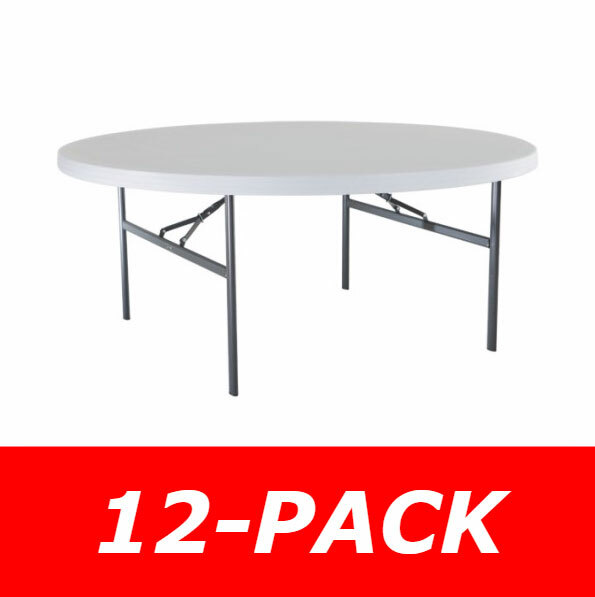 Plastic Tables And 72 Inch Rounds are Ideal for Home, Office, Crafts, Outdoor Activities and More! Table top weight capacity: 1700 lbs. 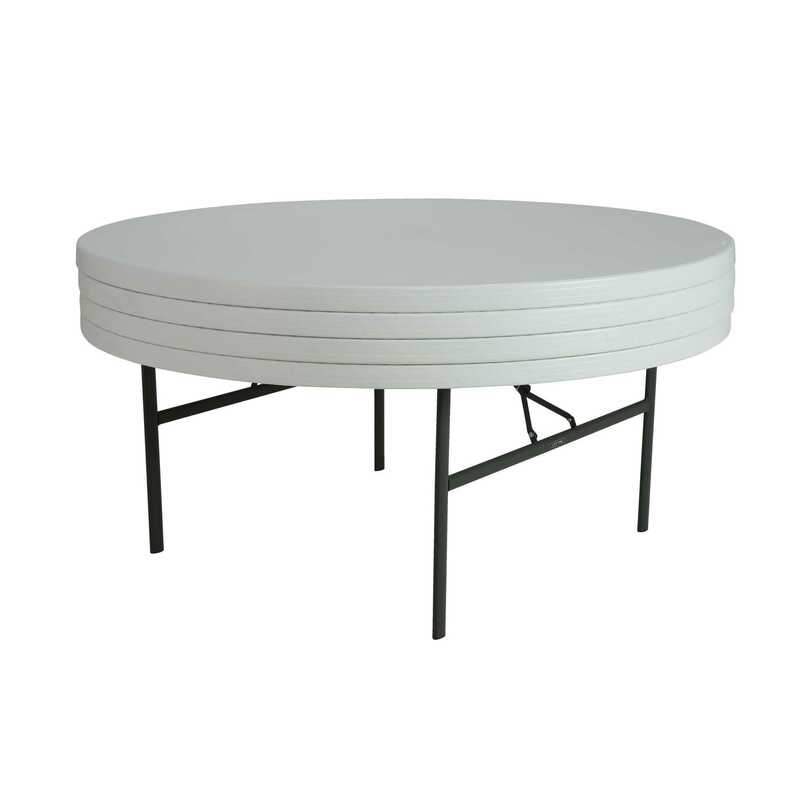 Lifetime 72 Round Inch Tables generally ship via LTL Freight carriers such as ABF or Roadway. 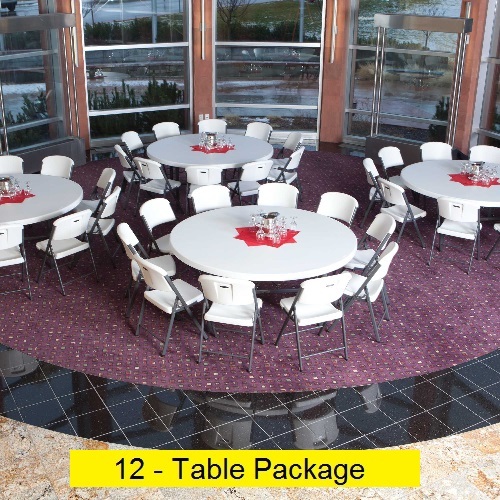 With each 72 inch round table seating about 10 people each, this 12-pack seats about 120 people all together. 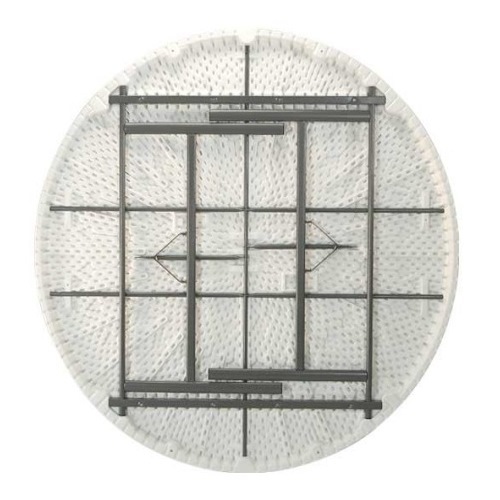 Please also see our 72 Round Table model 22673 for a single 72 inch round table. Low price guarantee on Lifetime round tables. The tables look very nice and we are looking forward to using them. Your company is very easy to work with and follow up service is top shelf! GOOD BUY! GREAT PRODUCT! WILL USE AGAIN. THANKS. The tables arrived today. Great shipping. Everyone loved them! Great service and prompt delivery, thanks guys!!! I found your company through an exhaustive search on the internet. I use Google. Your company was the only one I found that would offer me free shipping or at the very least shipping included. Also I like being able to talk to a human when making a big purchase from an online company the first time. Your customer service has been great so far and gave me confidence in my purchase. Great product, Great value ! Great sturdy tables and a great value. 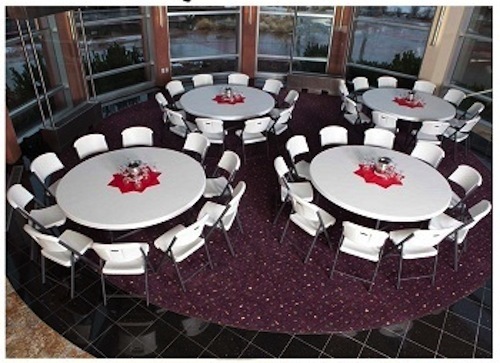 They helped us transform our private dining room into a banquet facility. Would recommend to anyone. 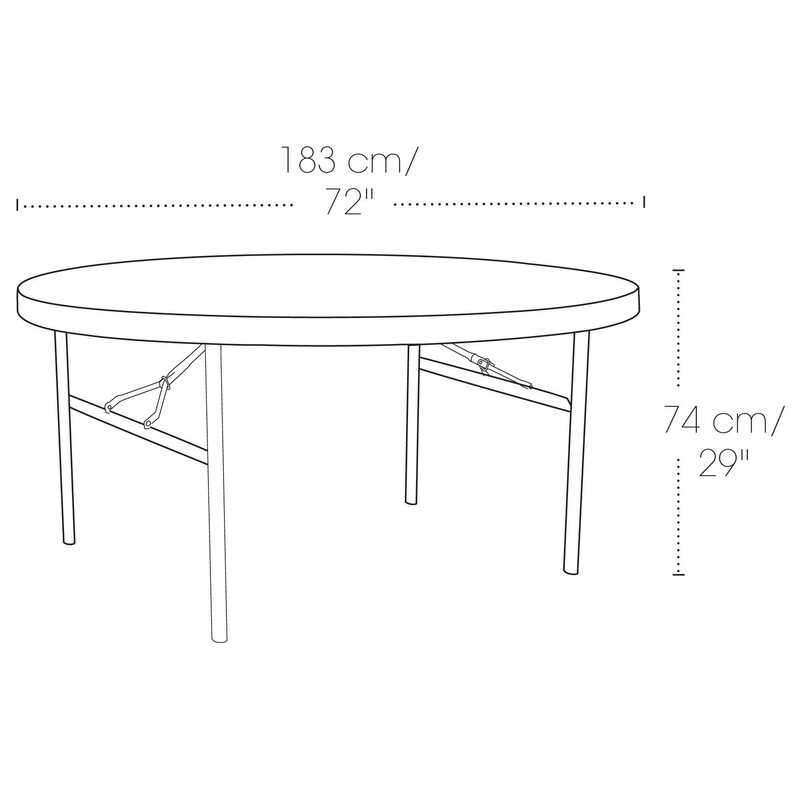 Q: 72" table: It looks like the feet are a flat rubber with tread. Do you have an option for feet that will slide on carpet? This is a big deal for our custodian for set up. The foot would need to be plastic or poly in nature. Metal will rust if the carpet is damp. 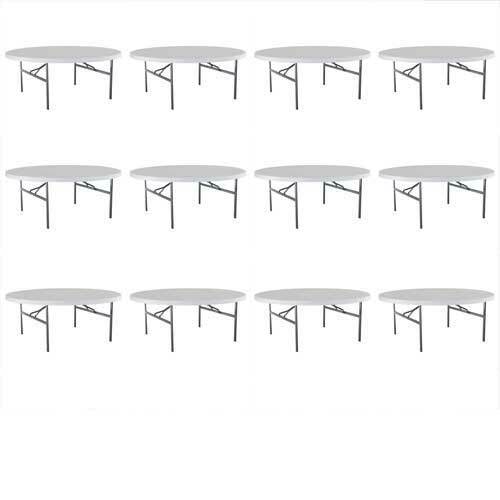 We are considering 12 table and 120 chairs. Thank you. A: The feet on this are plastic to protect the surface of the floor. I would not say that this light around easily. Unfortunately, we don't have any special feet that allows them to slide around. A: We can certainly beat their price. We can either email you a quote (If you would like a quote, please email us at support@competitiveedgeproducts.com, and include contact information, like a name and phone number, as well as the shipping address, then well send you price quote that you can mail in with a check) or you can call us directly at 866-308-5484x2 to order with a price match. Q: How quickly will receive the tables once the order is placed? A: It depends on where you are located. On average it takes about one week to receive. They ship out of Utah where they are made. Q: How many people can this comfortably seat? A: This can comfortably seats 10 people. 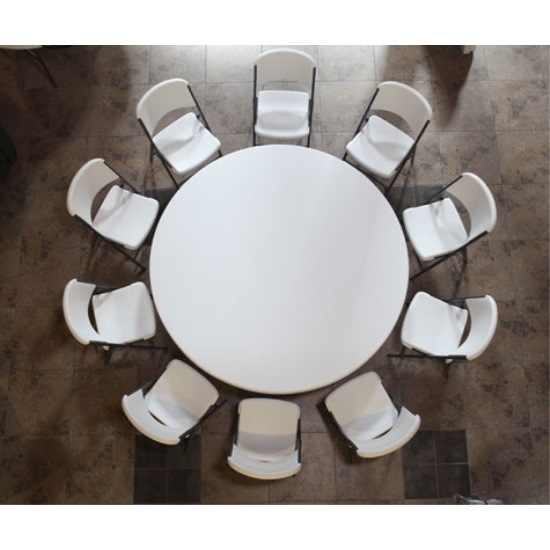 If you need something where you are looking to seek 8 people you might consider the 60 inch round table model 880301. 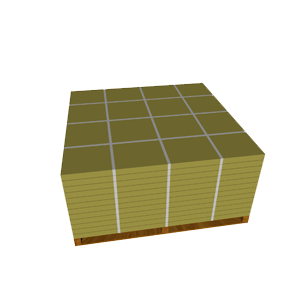 Q: Do you have any storage carts to fit this oversized table? A: Yes, it is model DY-71R. 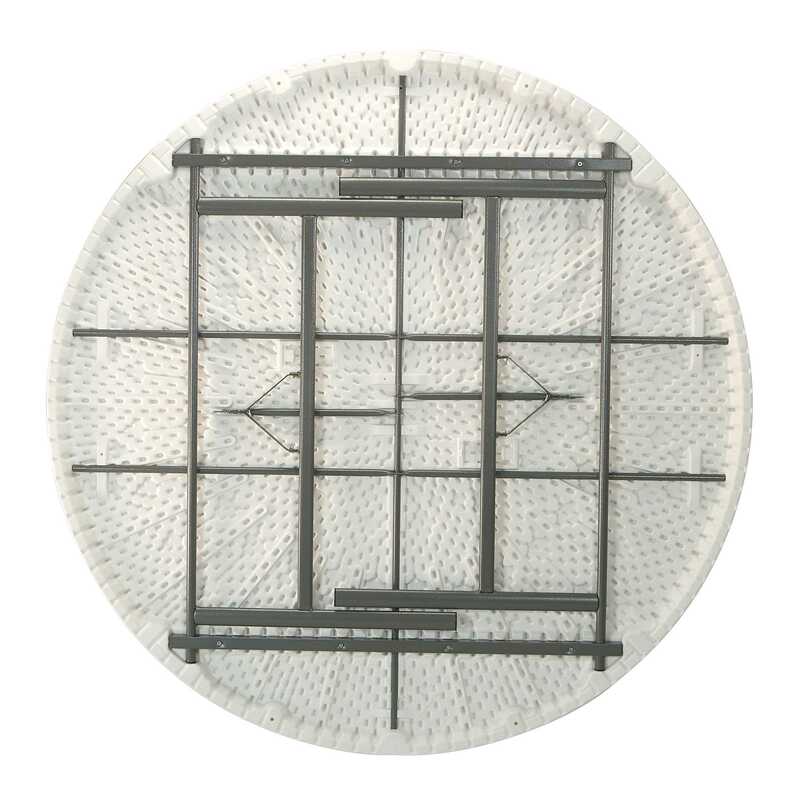 Shipping: Orders for the 2673 Lifetime 72 Inch Round Table 12 Pack generally leave the warehouse the next business day.